More subtle than the clear version, the Remo Emperor Vintage Coated has added warmth and less attack, while still giving a nice sustain – perfect for studio recording or live drumming. The Remo Emperor Vintage Coated is made with two plies of 7.5mil film, and is slightly thicker compared to the regular Coated Remo Emperor. 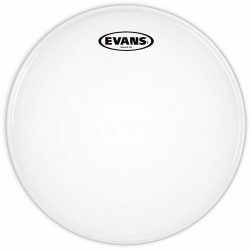 These drumheads have a top coated layer, adding some extra warmth and giving a good responsive surface for brushes. The Vintage Emperor maintains a moderate sustain, while being slightly more durable. Compared to the regular Emperor, the Vintage version is a little warmer, with slightly more emphasis on the midrange and low-end frequencies. Overall though, the sound differences between the Remo Emperor vs. the Emperor Vintage are quite small. 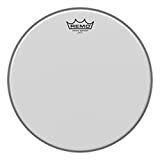 Like the regular Coated Emperor, the Coated Remo Emperor Vintage performs very well in medium-high volume situations. 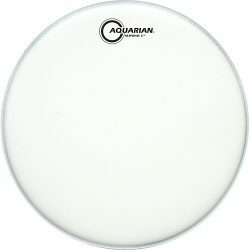 This drumhead has a warm and smooth attack, followed by a warm moderate-length sustain. 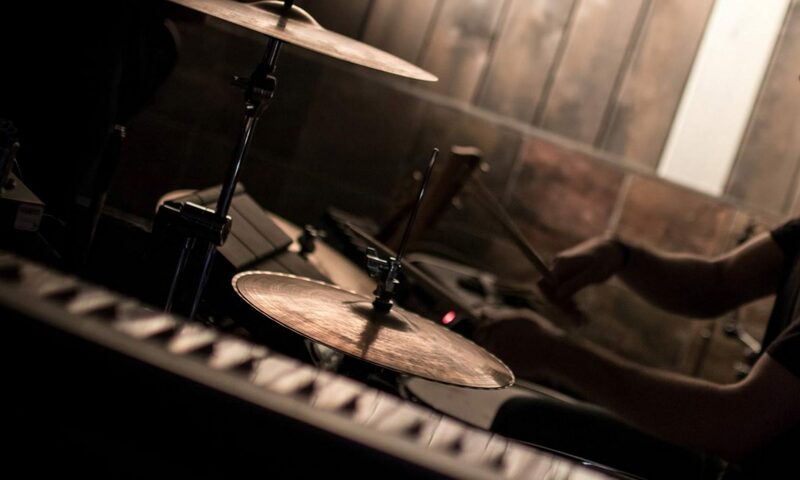 The Emperor Vintage is fairly open sounding, as it has no added control or dampening. Overtones are present but not overpowering, with higher pitch ringing especially controlled by the coating. 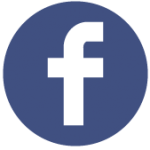 The sound is moderately focused when struck in the center. 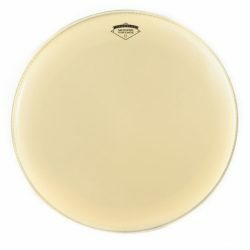 Overall, the Emperor Vintage Coated is a versatile drumhead option – leave it open for more sustain and overtones, or add dampening (such as Moongel) for more focus. The smoother and more subtle attack makes the Emperor Vintage Coated a great drumhead for studio recording, or for medium-high volume live playing. The two 7.5mil plies mean that the Vintage Emperor is durable, and can handle heavier hitting when needed. 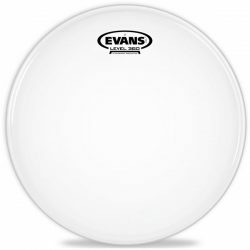 At low volumes, note that the Emperor Vintage is less responsive, with the thicker construction giving a more choked sound. If you’re drumming in extremely high volume environments, it’s best to use microphones on your kit with these drumheads… The smoother attack and warmer sound can get lost in a very loud mix without microphones. 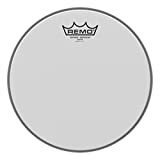 Tip: try the more cutting Remo Emperor Vintage Clear for a similar drumhead that performs better in very loud situations. 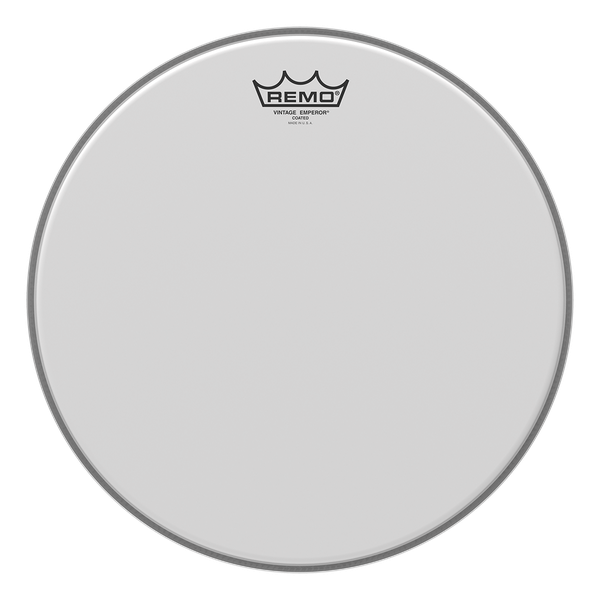 If you’re looking for a durable and versatile drumhead that is still fairly open, the Remo Emperor Vintage Coated is a great choice… This head will reduce excessive overtones, while still allowing your drums to resonate fairly well. 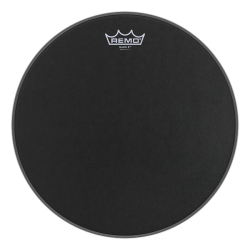 As stated above, the sound differences between the regular Remo Emperor vs. the Remo Emperor Vintage are quite small… Due to the slightly thicker design, the Remo Emperor Vintage is a tiny bit warmer, and a little more durable.